A small uncrowded beach with great snorkeling and diving. In a nutshell: A small uncrowded beach with great snorkeling and diving. Minuses: Small beach, smaller parking. 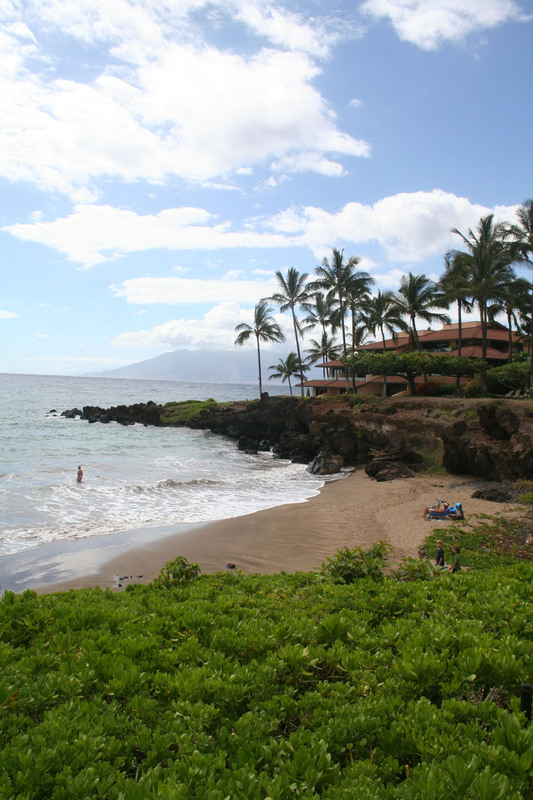 Chang’s Beach is a pleasant small beach in Makena fronting luxury vacation homes and the Makena Surf condos. The star rating strikes a balance between those coming here to snorkel or dive, and those coming for just the beach. If I were rating just on snorkel/dive it would be top-rated. The beach is nice, but not worthy of the higher rating taken alone. If you’re coming exclusively for snorkeling or diving, go straight to the Five Graves parking, and enter from the lava fingers that extend there. Ulupikanui means “large fig tree” and refers to a tree that used to exist on the now-developed cliff. More frequently called Chang’s Beach, the Changs were a well-known family that owned and farmed the land in this immediate area. The small family graveyard just south of the beach is the namesake for the “Five Graves” diving and snorkel spot. Advanced cave divers will find also large underwater caves to explore. They go on for quite a distance, however they can be dangerous for even experienced divers. The caves are too deep for snorkelers to access. Ulupikanui also has an historical archeological ruin of rock which are the remains of a pre-contact Hawaiian canoe house. It is now a centerpiece of some of the shared lawn of some of the luxury homes, and is up a short path on the south side of the beach. Public access to the ruins is permitted. Really nice spot, park at Chang’s and swim across to the rocks and reef. Saw several turtles and the usual assortment of fish. Great spot!! In the text it says five graves and on the Map it says five caves.